The Outer Banks Swimming Source- Learn to Swim, Safely! Winter Lessons Starting Soon-New Indoor Facility! The next session of ISR lessons (or refresher lessons) will begin January, 26, 2015. I am happy to announce a new indoor facility, and I am so excited to show it to you and begin training your little ones in this new space. I will have both morning and afternoon lessons. Additionally, I will also have some available spaces for private or semi-private American Red Cross lessons for your older children. Please share this information with others you know with small children. 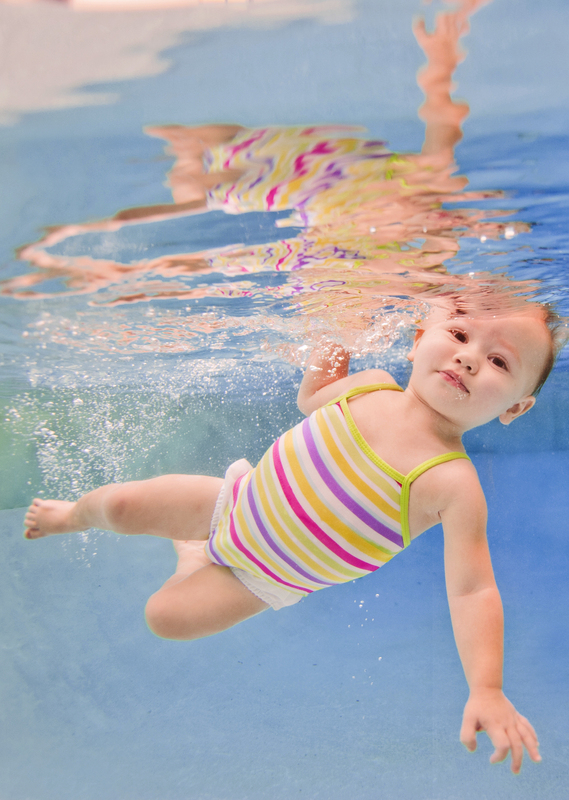 Together we can prevent the leading cause of accidental death for children under 5 years old, drowning. 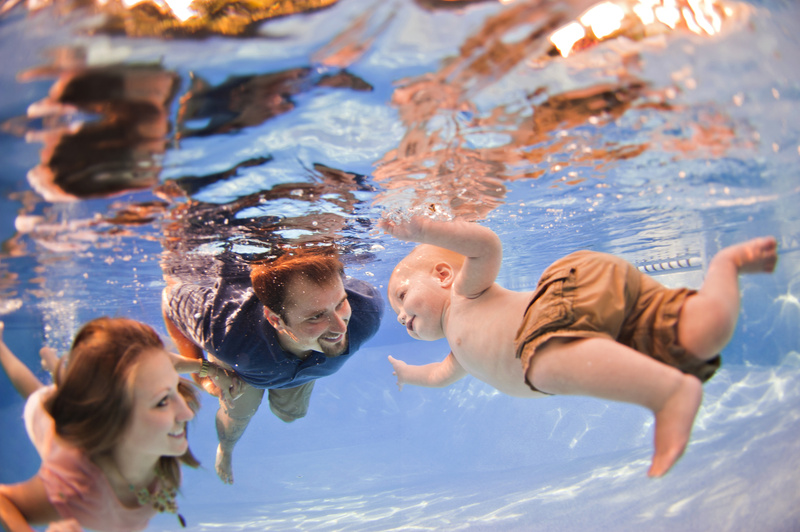 Let’s make this year the year your child learns to swim and be safe in and around the water! Email theswimlady@gmail.com if you are interested in winter lessons and to check for availability. We purchased the ISR lessons in a silent auction for SIDS ( sudden infant dead syndrome ), that’s when you start seeing Christen’s love for kids. Our lessons started this May 2014 … Every morning 8:50 am…. No food for two hours, some foods are out of the question, two swim diapers… Two towels, read the book, use the BUDS sheet… You may think is all a bunch of nonsense, trust me… It’s all there for a reason. 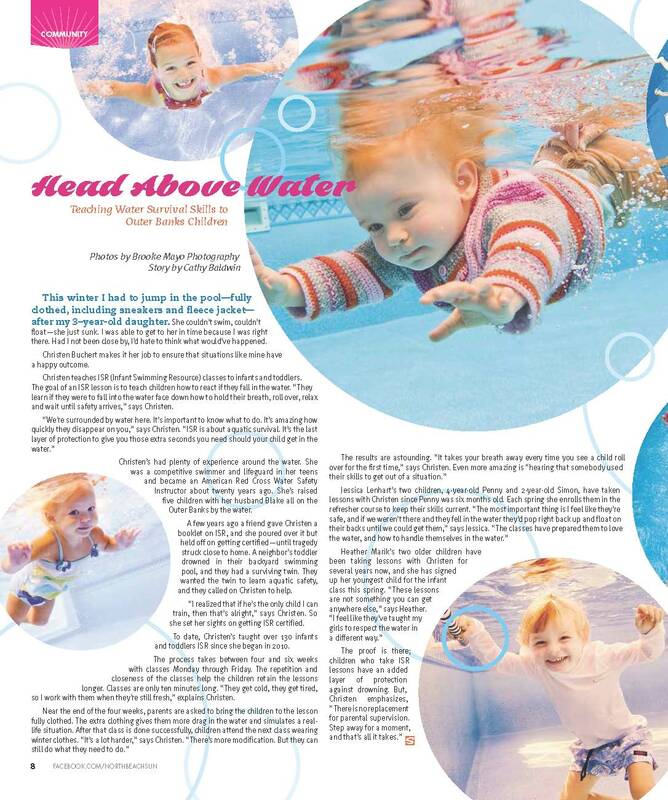 When after a few days you see your baby rolling under water and floating on her back, when you know that if by any chance or small possibility she finds an open gate to a pool, pond or fountain… She will survive… It’s all worthy!! Christen has this amazing charm with kids, this great sense to connect with them and infinite patience for the bunch of concerned moms with I’m sure the same questions every 10 minutes or in a full inbox every night …. second drowning? She puked on the car… Is she ok? Is crying a lot normal? Should I hide behind the fence? Can I give her Tylenol? She is teething and miserable, can she still swim? 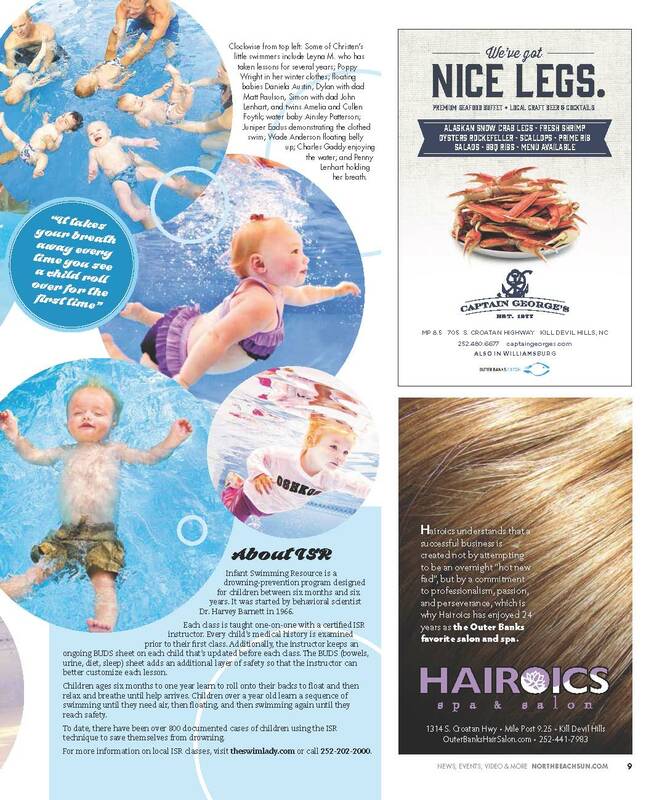 People say… Is that the lesson where they toss your kid with shoes in the water and it seems they are drowning? …. Christen will NEVER toss a kid in her pool… She holds them, stays by them the whole time, talks to them, plays with them… They learn with love and care. And trust me they learn! We had classes with only swim diapers, then with bathing suit, with summer clothes and winter clothes, and she did the roll float and cry like a champ! She got her cute first trophy … One of many to come… But all she cared was her fun sweet sticker… The one that Christen always gave her after her class… That brought a smile to her face after her 10 minutes of work out… And we drove home peacefully … Soph .. because she was tired… Me … because she knows how to be safe! Thank you Christen for all the love, time and patience you have for our children around your arms, for us, the moms kneeling in the towel waiting to hug our babies when they are done, for the infinite information you send and all the questions you answer, for the fun times we get making new friends in your deck, cheering to all the kiddos… You make our community stronger and safer. Thank you for being a teacher, a friend! We will see you in January for the refresher … Or if Sophie is walking we will be ready for the trio …roll swim float! Accidents are unplanned. Please remember that children can reach the water alone any time of year (think canals, hot tubs, open pool gates, unfamiliar play areas) , and that children as young as 6 months can learn to save their own lives, should the need arise. A moment’s inattention shouldn’t cost a child his or her life. The most critical line of defense is adult supervision. No level of aquatic skill can replace active supervision. If your child is ever missing, look in the water first. Install a permanent 4-sided fence with self-locking gates. Ensure that the pool fence is at least 3-5 feet from the pool edge. Make sure all doors and windows leading to the pool are locked and alarmed. A moment’s inattention does not have to cost a child his life. ISR’s Self-Rescue™ training is an added layer of protection, teaching your child water survival skills in a completely safe environment. If an emergency happens, it is essential parents and families are prepared. Learn to perform CPR on children and adults and remember to update those skills regularly. The Swim Lady can help! Call (252) 202-2000 or email Christen today at theswimlady@gmail.com. Spring and Summer lessons are filling up fast. 12 months old with 4 weeks of ISR….Here’s what it looks like! Curious what your little one will be able to learn with ISR? Christen worked with Teddy for 4 weeks and here are the results. Call Christen, The Swim Lady (252) 202-2000 today to reserve your spot-lessons are booking for Spring and Summer now! Is Your Family Ready for Summer? May 5- June 13; June 16 – July 25; July 27 – Aug 5 and in Virginia Beach from Sept. 2 – Oct. 10.